When connection pooling is enabled, the LDAP service provider maintains a pool of connections and assigns them as needed. When a connection is closed, LDAP returns the connection to the pool for future use. This can improve performance significantly. 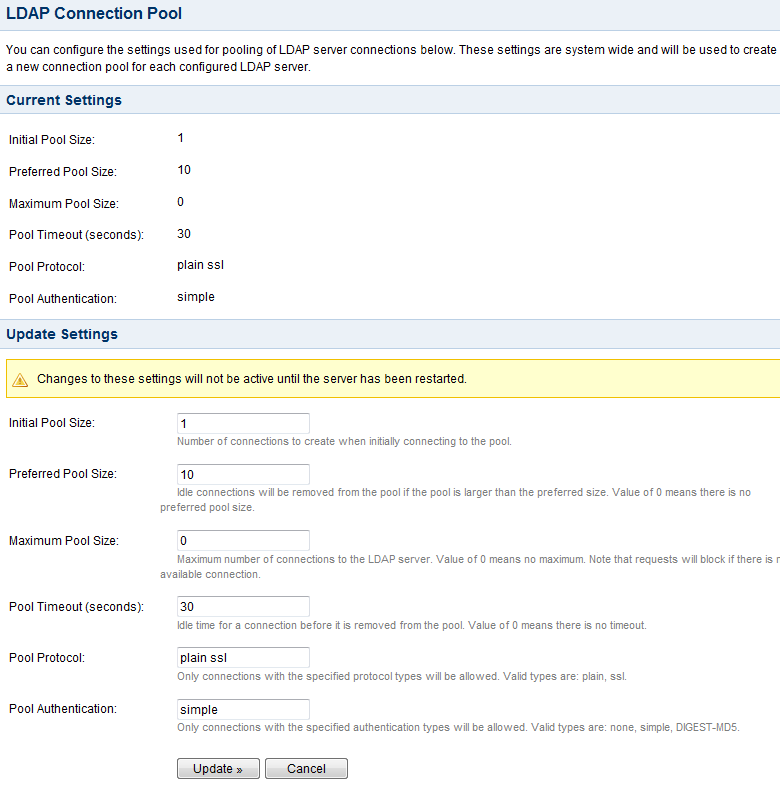 This page describes the site-wide settings for LDAP connection pooling in Crowd. Click 'LDAP Connection Pool' in the left-hand menu. The 'LDAP Connection Pool' screen appears. Enter the details for each setting, as described in the table below. Restart Crowd to put the changes into effect. The maximum number of connections. When the number of connections reaches this value, LDAP will refuse further connections. As a result, requests made by an application to the LDAP server will be blocked. A value of 0 (zero) means that the number of connections is unlimited.